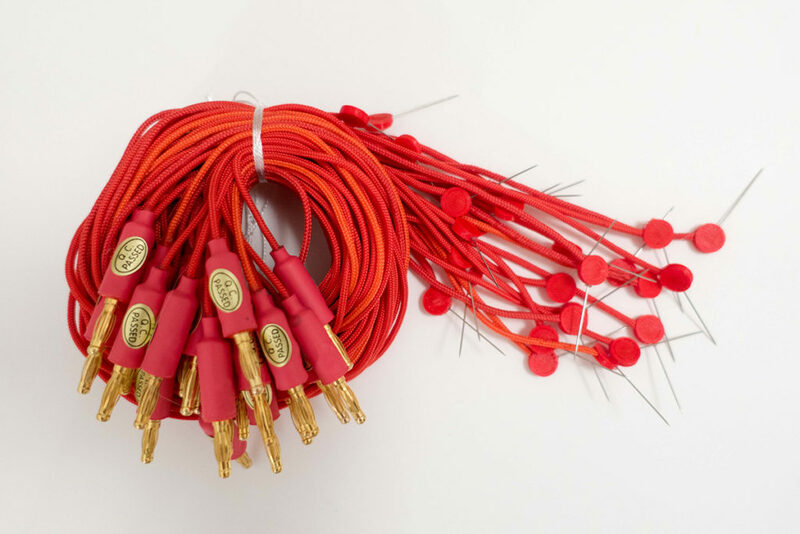 The Pin Probe is a test lead to connect between a multimeter and conductive fabric or thread. The probe consists of a pin to make temporary but firm contact with textile materials without harming them. A soft and flexible textile cable then connects the probe to a banana plug to connect to a multimeter. 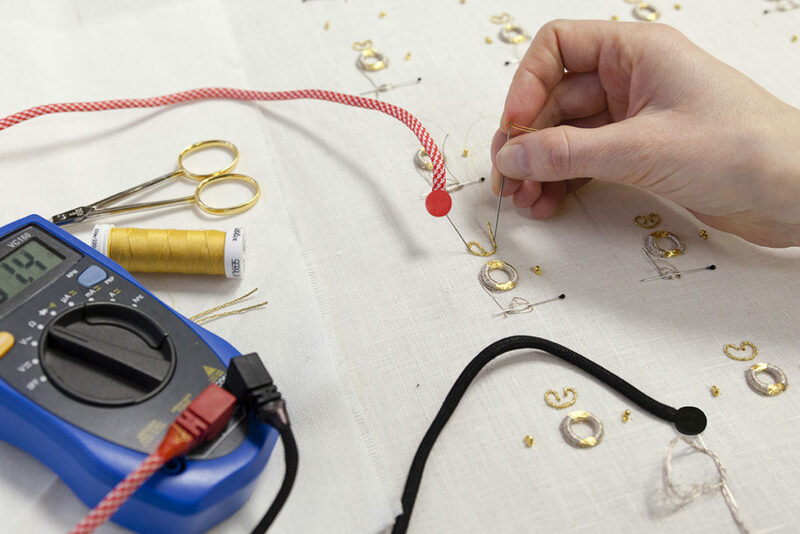 The Pin Probe is designed to aid processes of textile electronic making, allowing to pin the probe to the textile material and have both hands free for the crafting routine. Directly while stitching the connection, the multimeter provides continuous information about its current electrical value. The immediate feedback allows instant action, facilitating an aesthetic-driven workflow to reach precise electronic results. Supported by the Austrian Science Fund (FWF): AR 284-G21 in the Programme for Arts-based Research (PEEK). Irene Posch. 2017. Crafting Tools. interactions 24, 2 (February 2017), 78-81. Irene Posch. 2017. Crafting Tools for Textile Electronic Making. In Proceedings of the 2017 CHI Conference Extended Abstracts on Human Factors in Computing Systems (CHI EA ’17). ACM, New York, NY, USA, 409-412.